Antiquity is a brand of Indian whisky, manufactured by United Spirits Ltd (USL), a subsidiary of the United Breweries Group. It was launched in 1992. It is available in two variants - Antiquity Blue and Antiquity Rare. 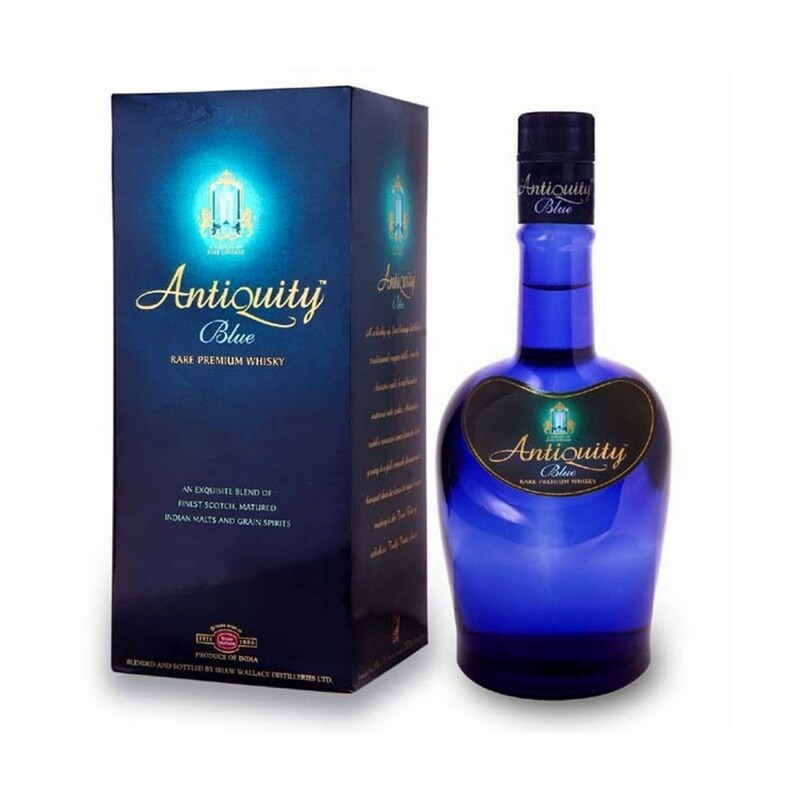 Antiquity Blue is made of Indian and Scotch malt whisky blended with grain spirit. Antiquity Blue was awarded "Silver Best in Class" in the Spirits Tasting competition by the International Wine and Spirit Competition, held at the Wine and Spirits Wholesalers of America (WSWA) Conference, which took place in Las Vegas, United States from April 2 to 5, 2012. In a taste test by GQ magazine, Antiquity Rare received a rating of 4.2/10. The magazine said that the whisky had "won few admirers among the judges, with complaints of a perfumed, nearly acetone taste – except for one diehard fan",The brand's main national competitors are Blenders Pride from Pernod Ricard and Peter Scot from Khoday India Limited,[ as well as competition from other USL whiskies in the same price range such as Royal Challenge and Signature.In some states, Antiquity also competes with Haig Gold Label from Diageo and Rockford Reserve from Modi Illva.